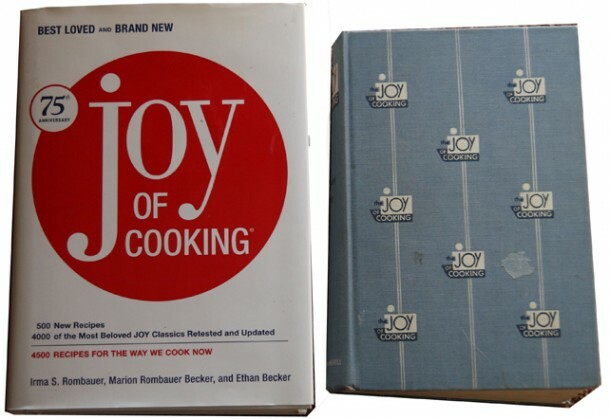 Originally self-published in 1932, Joy Of Cooking is an amazing reference book that not only has been on the best seller list since it’s original publication, it was updated yet again in 2006 for a modern diet and kitchen. 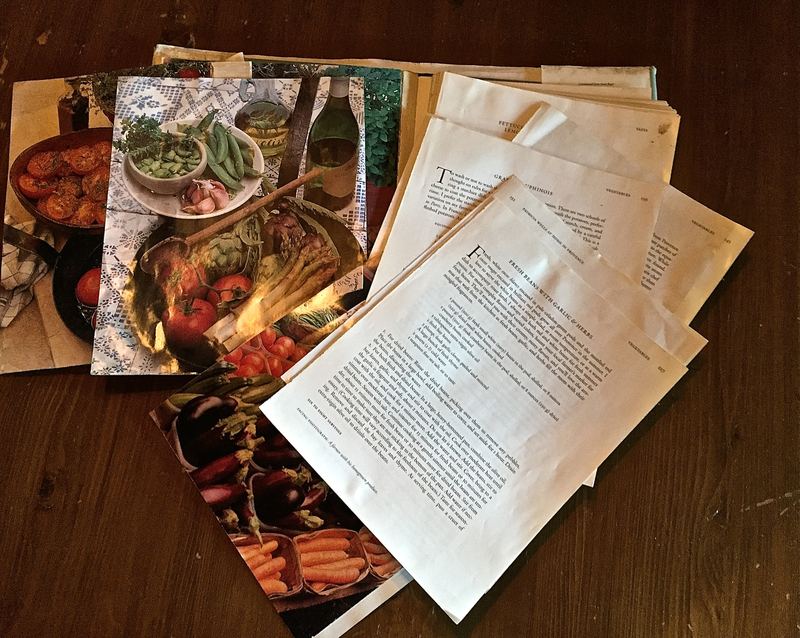 Filled with recipes of every kind, it is often my ‘go-to’ book when I need to make something I’ve never tried, or want a dependable, tasty recipe for just about anything. The Blue Cheese Dressing recipe , for instance, cannot be beat. Same for the Hunter’s Chicken recipe, a variation on Chicken Cacciatore which my friend Tiffiny makes for me whenever I ask… and I ask often as it has become one of my favorite dishes to eat in all the world. If you need one bible of recipes and cooking tips, Joy Of Cooking is the one to get. 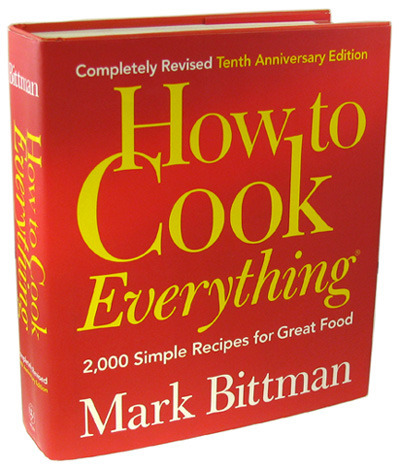 To make things confusing, another excellent reference is Mark Bittman’s How To Cook Everything, which pretty much sums up the book. While I would choose Joy of Cooking if I could only have one, Bittman’s is another amazing reference and has smart, concise information on all kinds of things. What I love about these two books is how helpful they are when you are faced with something new. Never poached an egg? No problem, grab one of these books. From basics such the best way to boil pasta to much more advanced techniques, you can cook many wonderful meals with either of these books alone. There are two chefs/authors I return to over and over because they are so damned dependable: Ina Garten and Jamie Oliver. With my cookbook obsession, I have bought quite a few heralded cookbooks that turned out to be major disappointments. I give a new cookbook about 5 chances. If I cook 5 recipes from it that don’t turn out so great, something is going wrong with the book. With Ina and Jamie, however, I don’t think I have ever encountered a recipe by either that has been anything less than stellar. Besides being so dependable, they both seem to be smart, lovely people. What I would give for a day in the kitchen with either! The only problem is which book of each person to buy as they each have so many great books! While you can’t go wrong whatever you pick up, let me give you the one book by each I grab off the shelf most of all. Ina smartly published this book, Back To Basics, in 2008 and I’ve been using it frequently ever since. It contains a little bit of everything and each bit of everything is delicious. 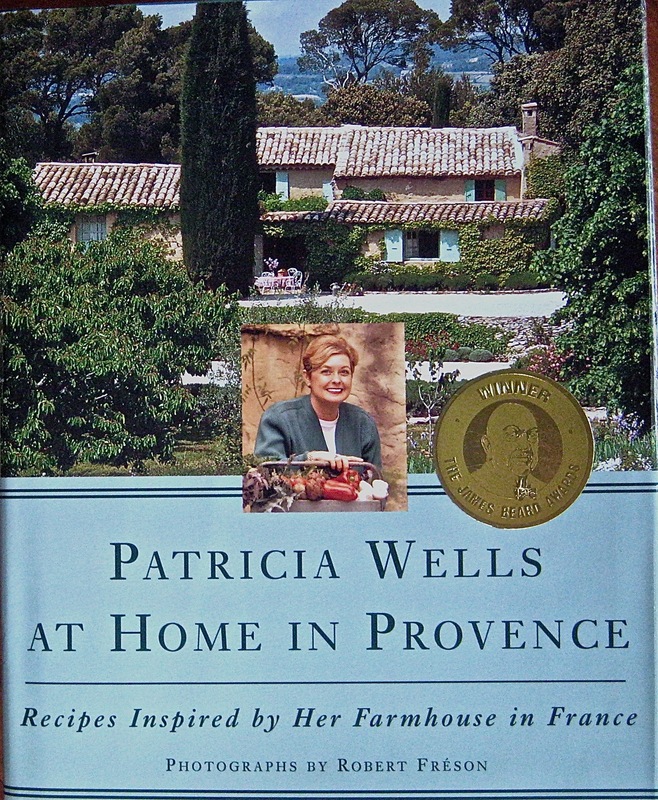 Two favorites from this book: Ina’s Omelet for Two is something I make at least once if not twice a week. The recipe is an excellent base for trying other ingredients and flavor combinations though it is perfect just the way it is. It is baked in the oven, so it is easier than a normal omelet and has a better texture. I also love this Baked Shrimp Scampi, which I’ve started making most every New Year’s Eve as well as other nights during the year. Simply put, Jamie Oliver is a stud. From his work with disadvantaged youth to his crusading for better food for schoolchildren, he is someone I’ve admired for a long time. His books are a blast as well! 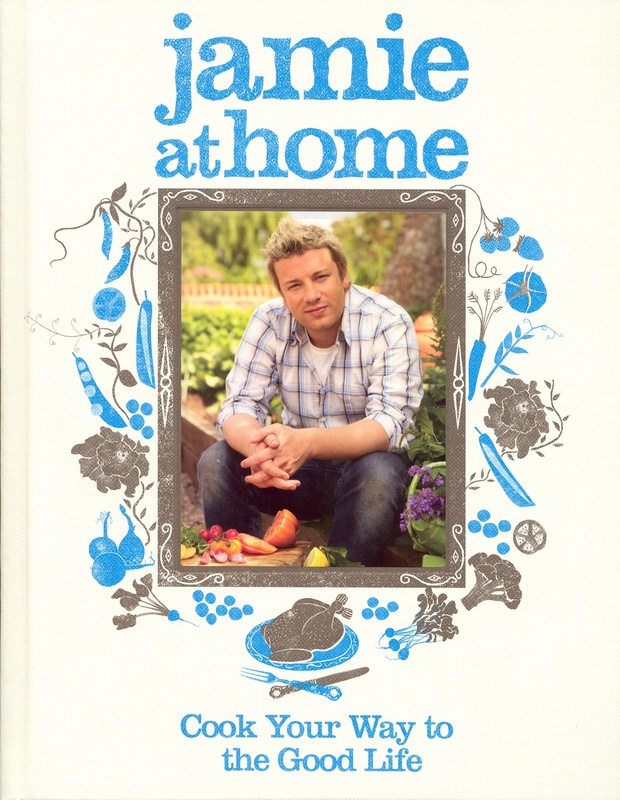 Of all the books, I love Jamie At Home the best. 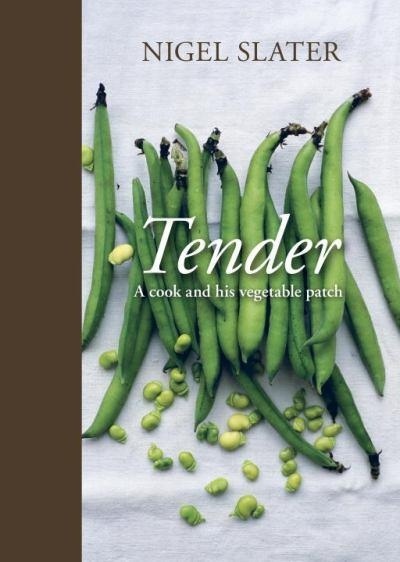 Not only are the recipes outstanding, the book is an excellent reference with even sections on planting and growing your own produce. 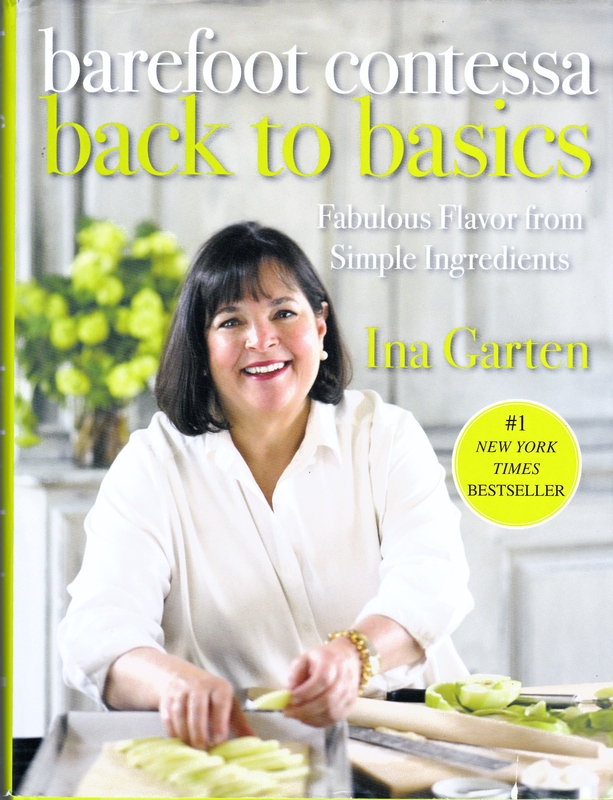 Two favorites from this book are Jamie’s Proper Chicken Caesar Salad, which my buddy Keith asks for every time he comes to my house (we had it by request yet again last Saturday), and Jamie’s Creamy Rice Pudding with the Quickest Strawberry Jam. 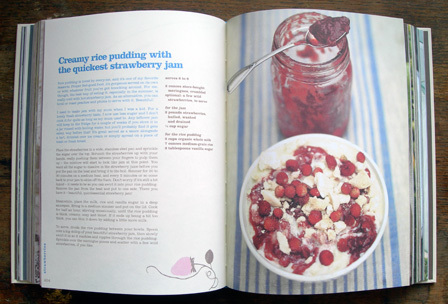 I didn’t even know I liked Rice pudding until I tried this, which I made more for the jam part than the pudding part. Wow. It is great! Finally, two favorites elevated not only by the brilliance of their food, but the passion of their writing, which is always a joy to read. A chef I’ve written about before is Nigel Slater. His writing has become a bit of an obsession for me, I have worked my way through almost all of his books. He is funny, smart, tart… and wow is his food good! The best book to get for your first bit of Slater is Tender, which I wrote about here. 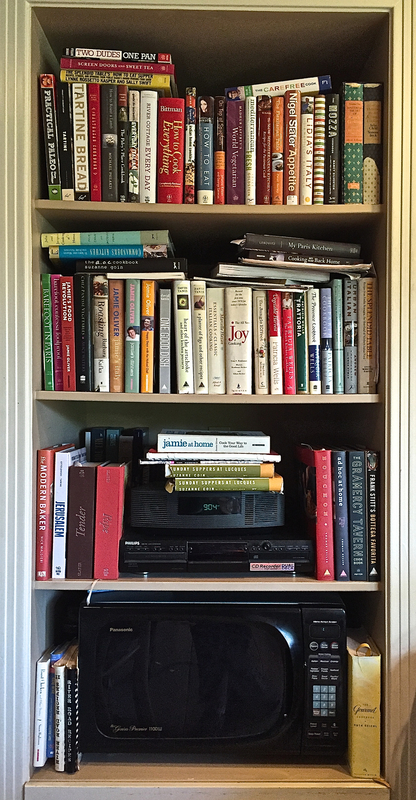 This, too, is a reference book, divided alphabetically by vegetable. (It has tons of meat dishes in it, don’t worry.) If you have some cabbage and need an idea, turn to Cabbage. You get a history of the veg, how to grow it, how to store it, and then you get innumerable versions. The section for each vegetable is the same. What a great cookbook! I love this man. Two of many recipes I love are his Eggplant Gratin and his Baked Peppers for a Summer Lunch. 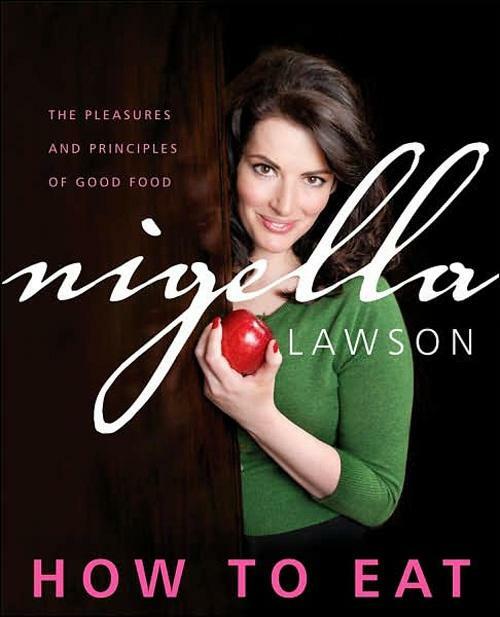 Last but not least is the goddess Nigella Lawson. Hot damn, does this woman know how to write! Her books are filled with humor as delectable as her food. She also writes with a wild passion that fires me up. My favorite, for all these reasons, is How To Eat. 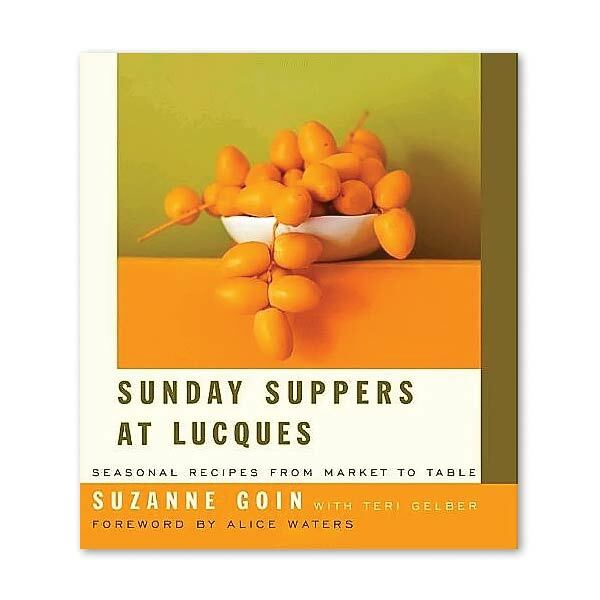 This is probably my favorite cookbook to simply read. There is much knowledge here, it is a very good reference book. But the writing is a blast. One of my favorite things Ms. Lawson does is encourage the home cook to relax, don’t worry what happens, and she often structures her recipes so you can ‘have a bath and a glass of wine’ while something is cooking. Madame, come on over. All right! A starter list for even the best home cook. You cannot go wrong with any of these books! I would love to hear from you your favorites. And in a few months, I will be back with more…. I am hoping to see one of Heston’s crazy recipes at some point. Though I draw the line well before we get to snail porridge. SJ, I’ll try anything once… I guess…. a good book. Cookbook or novel. Still miss your mom so much. Love seeing just a part of your house even tho it was only a book shelf. Carol! Wonderful to hear from you. I miss her, too but I miss you as well! I sure hope you are doing great. You should come see me, anytime. If not, I will make it to you. Love you! Oh and getting those books is worthy of a bbgun! Ok, I’m doing the happy dance, trying to figure out which book to get or go for broke and get them all. 😀 I already have the Joy of Cooking (1973) which I love to go to as a good reference, and on it’s way to my door is David Lebovitz, My Paris Kitchen and I’m so excited I can’t wait for that one to come. And now a whole new listing….maybe I’ll buy 1 a month, 😀 Thanks for the great list! Please let me know the ones you get and what you make! Seriously! Sounds wonderful, Elizabeth! I never use that wonderful book as I am a wretched baker. Please let me know how the baking goes! As you know, Tom, all the recipes I need are on the back of the Tuna Helper box! This keeps me up nights, you know that, right?